DF Automation and Robotics will be showcasing our AGV with wireless charging capability at Hannover Messe, Germany from 1st April 2019 to 5th April 2019, at Hall 16 Booth E08. Feel free to drop by and have a chat with our technical team during the event. 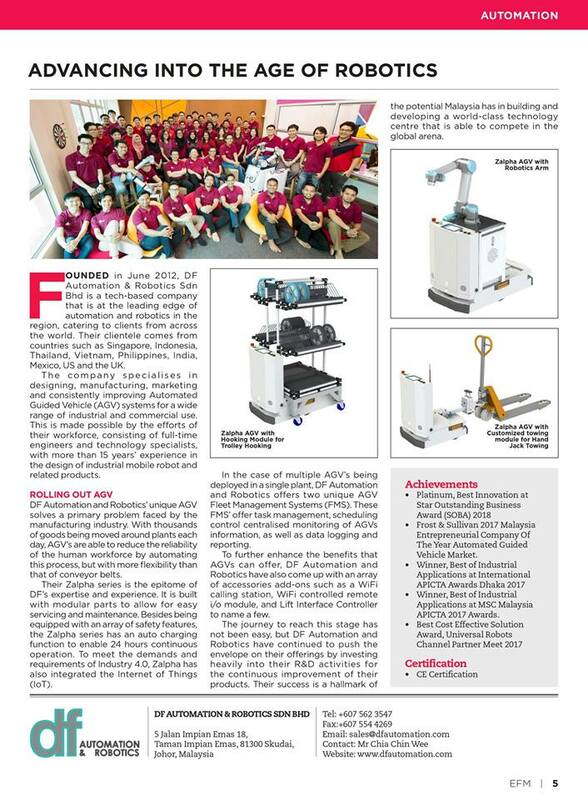 DF Automation and Robotics have been featured in the first issue of Matrade “Exclusive from Malaysia” (EFM) eMagazine. 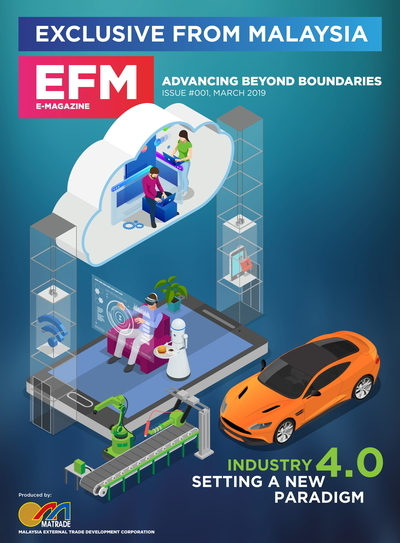 In this issue of the EFM eMagazine, Matrade selected the top Malaysian companies which have achieve tremendous result in the era of Industry 4.0. 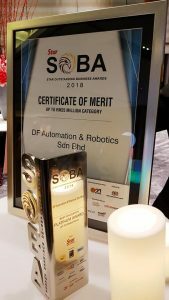 DF Automation and Robotics are proud to be selected as one of the companies and being featured side by side with giant Malaysian company such as Fusionex, Vitrox, Pentamaster, Cytron and etc. 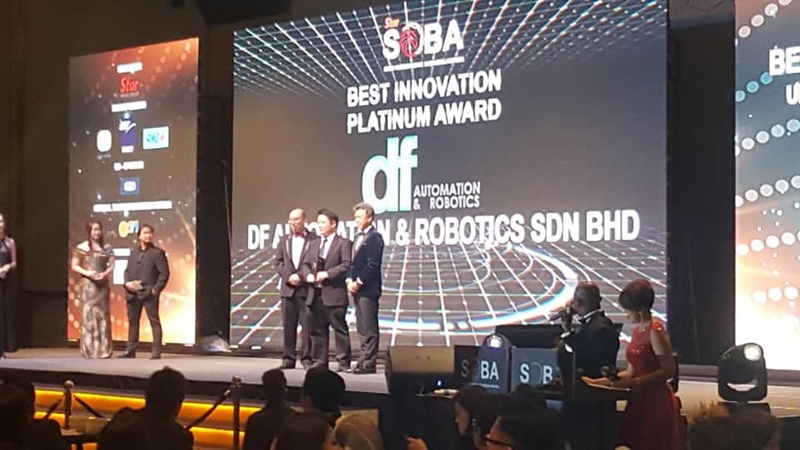 DF Automation and Robotics is honored to be awarded the Platinum Award for Best Innovation for company up to RM25 Million Category at the prestigious Star Outstanding Business Award (SOBA) 2018. It is awarded to DF at the Award Night Ceremony held at New World Hotel Petaling Jaya at 17 January 2019. 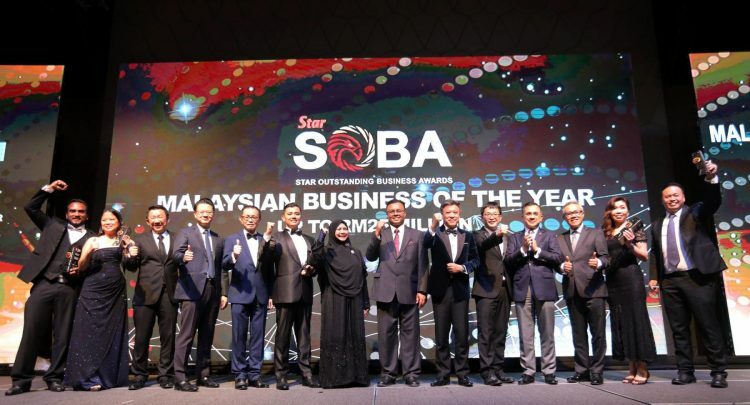 The Star Outstanding Business Awards (SOBA) is organised by The Star Media Group Berhad, to recognize up-and-coming enterprises and their contributions to the Malaysian economy. In line with the Government’s commitment to develop homegrown enterprises, SOBA seeks to inspire and encourage local businesses to promote Malaysia and showcase its products and services to the world. Every year SOBA will shortlist and award Malaysian non-public listed organisation that have led the way with excellent business principles, ethics and practices. SOBA winners are testaments of high achievement and serve as a benchmark for others to emulate. 2018 is the 9th year Star Media Group Berhad organised this business award ceremony. Back to our fort at Johor Bahru! 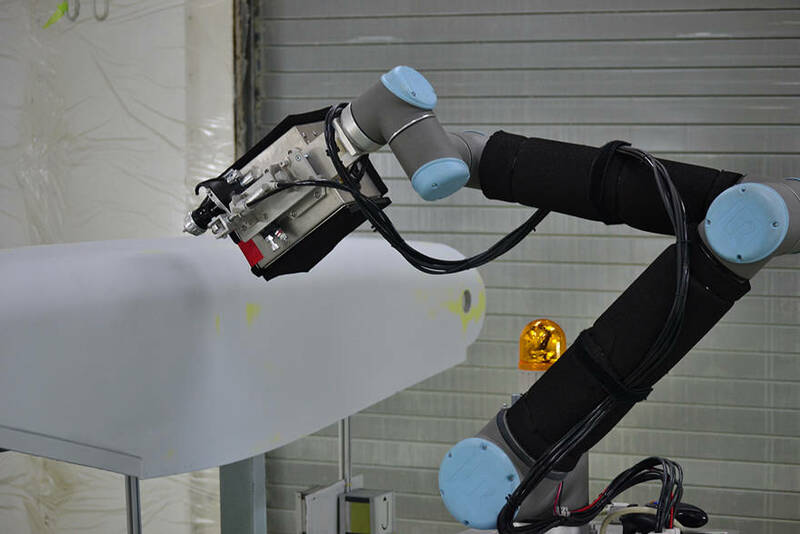 Paint Robots have been in the industrial for decades mainly to improve painting quality. 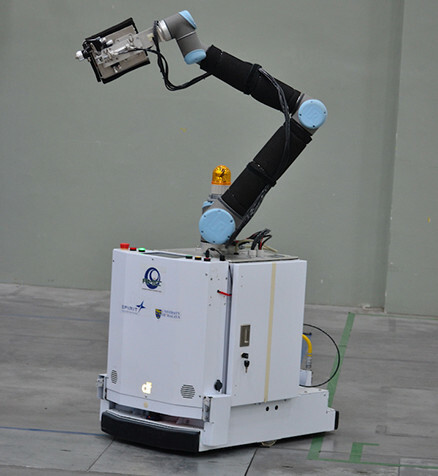 There are numerous brand of robots in the market that can be used for autonomous painting. However, most of them required permanent fixtures and positioning of robot arm in a fixed working area. Having the robot arm to move around is a big no-no, reason being is the accuracy of the positioning, fire hazard handling and the navigation technology. Aerospace Malaysia Innovative Centre (AMIC) acknowledged the challenge and lined up the top technical team from the particular industrial players to look into this matter. 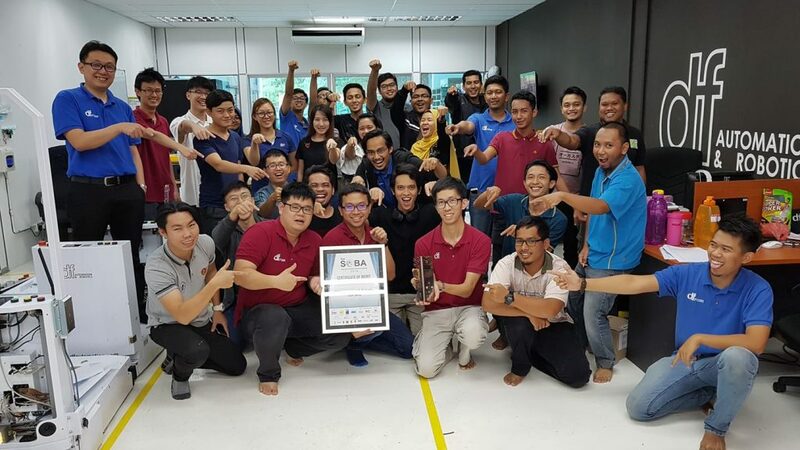 It’s an honour for DF Automation and Robotics R&D to join force with the technical expert from Spirit Aerosystem Malaysia and Universiti Malaya, to deliver the first of it’s kind mobile painting robot in Malaysia. 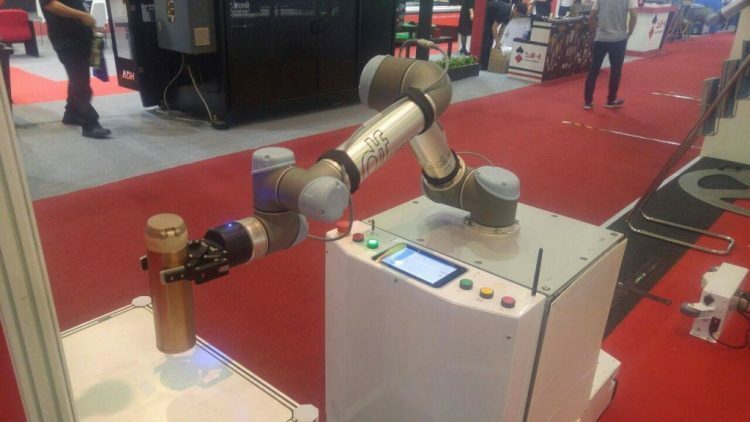 The project involved the integration of Zalpha-TS-03E trackless navigation AGV and Universal Robot UR10 together with Keyence camera vision system for positioning of the painting gun at the tip of the robot arm. With the flexibility of Zalpha-TS-03E and Navwiz operating system, the integration went smoothly and efficiently shorten the time spent for hardware integration. The team is able to focus in improving the paint spraying algorithm without worrying much on the hardware limitation and programming. DF Automation and Robotics Zalpha trackless AGV have also went through a series of review by international fire hazard expert to justify for it’s operation inside the paint room. The project collaboration takes 6 months before it’s being deployed to the site for stress test and fine tuning. The project have been visited by Spirit Aerosystem global CEO, Mr Tom Gentile and Malaysia Prime Minister, YAB Tun Dr. Mahathir on December 2018 at Putra Jaya, Malaysia. 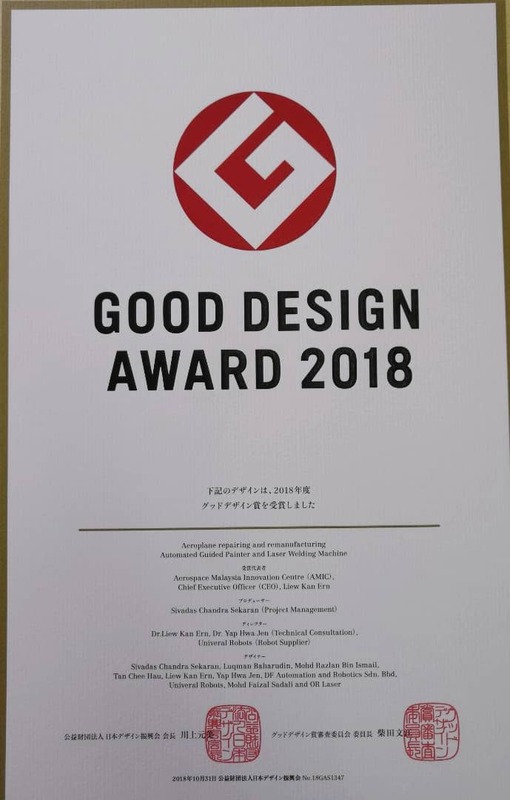 The project have also been awarded the “G-Mark” good design award from Japan, for it’s innovative idea to improve safety of the operation environment and it’s breakthrough for improving the painting quality of airplane. DF participating in Automex 2018 Expo in Putra World Trade Centre, Kuala Lumpur, Malaysia. Do visit our partner booth Universal Robot at Automex 2018 (co-hosting with MetalTech) at PWTC KL from 23 to 26 May 2018. We have our Zalpha AGV with UR5 as robotic arm. DF will be at Semicon Southeast Asia 2018 from 22 to 24 May 2018 at MITEC Kuala Lumpur Malaysia. Do visit us and check out our Zalpha AGV with UR robotic arm from our team. 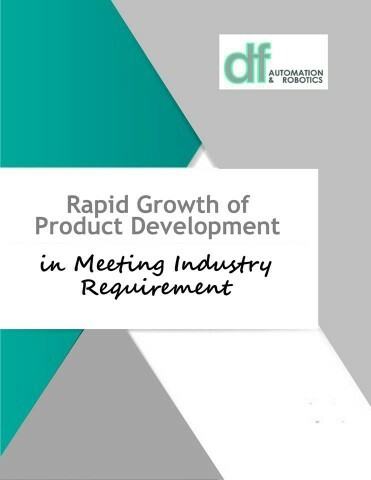 An Article written by MPC (Malaysia Productivity Corporation) on DF Automation and Robotics’ story in ‘Rapid Growth of Product Development in Meeting Industry Requirement’. 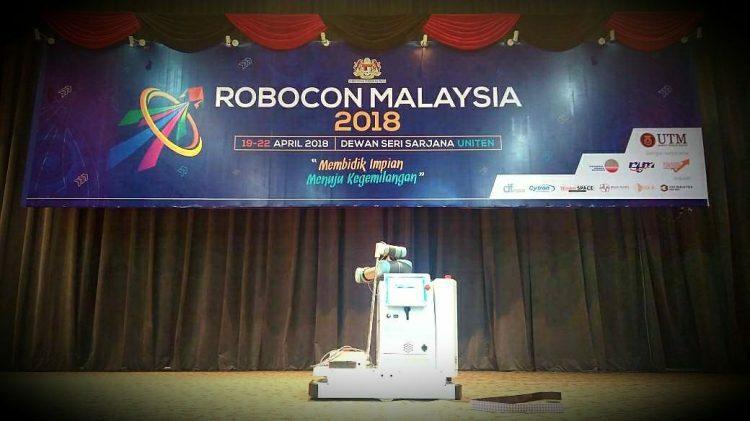 We are one of the proud sponsor of Robocon Malaysia 2018. Robocon has been in our blood as it has cultivated a lot of talented engineers in Malaysia. And you guess it right, many of us working in DF has joined Robocon since 2002. Not sure if you know, DJI is founded by ex-roboconer in Hong Kong. So, we gotta support this good programme for the undergraduates. Check us on Sunday, 22nd April 2018 at Dewan Seri Sarjana, UNITEN as we will be showing Opening Robot Gimmick. See you all there! With bigger space and location, we strive to provide you a better service. We are very happy to announce DF representing Malaysia has won Best Industrial Application at 17th APICTA Awards happening in Dhaka, Bangladesh on 9th December 2017. Patrick Chin, DF’s Senior Software Architect receiving the award. The product that won the award is NavWiz, an easy to use software to program a mobile robot. During the presentation, we showed live demonstration to control a robot in Malaysia all the way from Bangladesh. Industry 4.0 is nearer than you think.